In our continued effort to bring you ideas, techniques and strategies to strengthen your leadership abilities, we have initiated a monthly “Leadership Spotlight” blog post. You can look forward to hearing about the experiences and insights of CPA profession leaders each month. And, if you know a powerful leader that you would like us to feature, please send us your suggestion by clicking on this link. 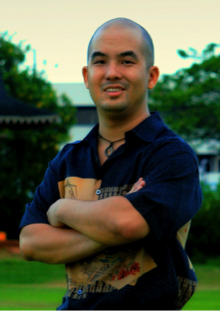 We are pleased to introduce our first featured leader, Donny Shimamoto. Donny is the founder of IntrapriseTechKnowlogies (ITK) and the leader of ITK’s auditing and consulting practice. He is a recognized leader and technology expert within the national CPA community. Donny’s considerable volunteer efforts within the profession were acknowledged in August 2012 when he was the AICPA’s inaugural awardee of their Maximo Mukelabai Award. Donny is a driven young CPA, and the Mukelabai Award recognized his passion and contributions in building the CPA pipeline, serving as an advocate for the accounting profession and performing outstanding community service. He was also recognized as one of the “Top 40 Under 40” CPAs by CPA Practice Advisor in 2007 and 2009. DS: Abraham Lincoln. He led our divided nation through a turbulent time and managed to reunite the country despite some significant ideological differences. Especially in today’s political climate, I think we are at a point where we need someone like Abraham Lincoln to come in and reunite this country. DS: It’s really difficult to identify just one. It depends on the situation that the leader is working through. If the organization is going through change, then I think it is vision. They need the ability to develop a vision that everyone can understand and use as a guiding light to change for the better. If an organization is divided, then I think it is engagement. They need to be able to engage the various factions and make them feel like they each have a say and are contributing to the reunification. If an organization is seeing a lot of inertia or stagnation, then it is charisma. People need a leader who can get them motivated and excited to move the organization forward. DS: Aside from all the “usual” leadership characteristics, I look for an understanding of the “big picture.” As I’ve gotten more involved within the CPA profession, my eyes have really opened to the bigger role that the profession plays in organizations, and also in our responsibilities to the public and the unique way that we contribute to the furtherance of society. Sometimes a younger leader may come up through a particular role and not have had enough experience or exposure with the bigger picture. Their efforts, then, may be good for their niche, but their contributions are limited because they’re missing the bigger picture. The ultimate bigger picture is the furtherance of society. If you watch the AICPA video on the Evolution of a Profession, you’ll see how the CPA profession has contributed to society’s advancement for centuries! So, young leaders need to be sure that they’re looking not only at the big picture for their organizations, but for society as a whole. DS: I believe my greatest contribution to others is to help them see a balanced picture. When I work with upcoming (or even existing) leaders, I come in with a broad perspective, assess their strengths and weaknesses, and try to understand what they’re trying to achieve. Then I often tailor my comments to provide a counterpoint for them so that they’re looking at the whole picture and not just where their biases/expertise lies. I’m a firm believer that my job isn’t to give people the answers, but rather to help them think through issues by looking at all aspects affecting them. If they ask, I’ll often provide them guidance or point them toward training that I think will help better balance their perspective or skillset. DS: Make sure you understand the strategic objectives of the organization and the constraints and limitations that the organization is working within. Too often, I see people stepping into a leadership role thinking that they have a vision or solution that the organization needs. But they forget that an organization represents the collective whole of its parts (people, process, technology, and information). Each of those parts may have different constraints and limitations, and may or may not be ready for the vision or solution. So, care must be taken to ensure that the organization has the necessary competencies to assimilate the change that the vision or solution represents. If it doesn’t, the leader must determine how they can build those competencies. DS: Insightful, Transformational, and Knowledgeable. Insightful because I feel that I help people and organizations understand themselves and what they need to do to be successful. Transformational because I often drive change. Not just small changes, but meaningful changes in how someone approaches something, what is being done by an organization, or what a person is doing to obtain fulfillment with their life. Knowledgeable because I base a lot of what I do on research and tried and true best practices, adapted for a particular situation or need. It’s the synergy of these three elements that serve as the basis for my leadership style. If this first leadership blog spotlight is any indication of the leadership insights we’ll gain from future posts, we couldn’t be more ecstatic. Big thanks to Donny for sharing his thoughts and perspective. We can see why he has become a “standout” member of the CPA community! We couldn’t agree more that when it comes to leadership, things are not always black and white and many times the answer is “it depends.” And Donny is right on target with his emphasis on the importance of a balanced and “big picture” perspective. What can you apply to your own leadership from Donny’s leadership insights and philosophy? Donny’s interview reminds me of this Abraham Lincoln quote “A house divided against itself cannot stand.” What thoughts, insights and/or ideas for action or improvement did this post bring up for you? We would love to hear from you.